Got ethics? Some investment bankers do. Last year the Senate held hearings into Goldman Sachs’s role in the financial crisis. I wrote at the time that it appeared that Goldman Sachs, the most respected house on Wall Street, had no ethical standards. Now the other icon of financial rectitude, Berkshire-Hathaway, is under the ethics microscope because of questionable dealings by David Sokol, an executive widely considered to be a possible successor to the revered “Sage of Omaha,” Warren Buffett. 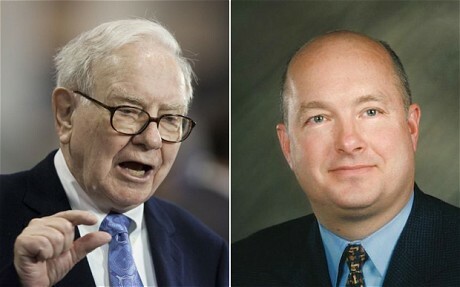 Sokol had purchased shares in Lubrizol Corporation, then recommended to Buffett that Berkshire Hathaway buy the company. He knew (or was pretty confident) that the shares would go up if a deal went through. It did, and they did, netting Sokol a quick $3,000,000 windfall. Was Sokol unethical? Buffett defended his sidekick, even as he accepted Sokol’s resignation, saying, “Neither Dave nor I feel his Lubrizol purchases were in any way unlawful.” Notice that Buffett was not defending Sokol’s ethics, only his non-criminality. So was Sokol being unethical? Sure—I think so, but more importantly, so do 21 of 23 top U.S. investment bankers, according to a poll by Reuters. Only one of the bankers in the poll said Sokol’s behavior breached no ethics or rules. While Republicans were digging in their heels to get tax breaks for millionaires and Democrats were demonizing them, 58 billionaires were promising to give away more than half of their wealth to philanthropic causes.. 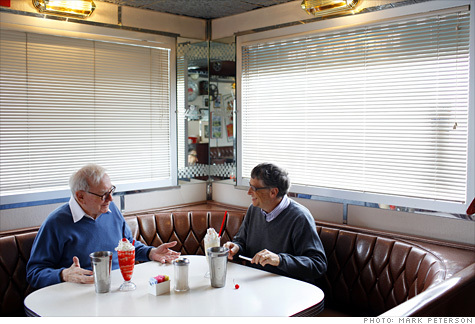 The names of Buffett and the Gates’s don’t appear on the website, givingpledge.org. They’re not into self-aggrandizement. In fact quite the opposite: when Buffett, reportedly the world’s third wealthiest person, decided to give away 99 percent of his wealth, he didn’t endow a Warren Buffett foundation: he decided that the Bill and Melinda Gates Foundation had all the right intentions and the right competence, so he decided to give it all to that going concern. He’s already given over six billion dollars to the foundation.